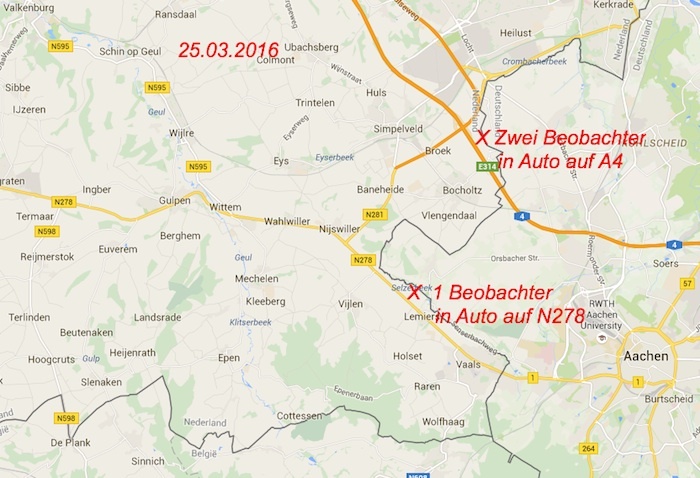 A bright green fireball was reported across the Netherlands on March 26, 2016, shortly after midnight. The burning meteor exploded after multiple-step disintegration. 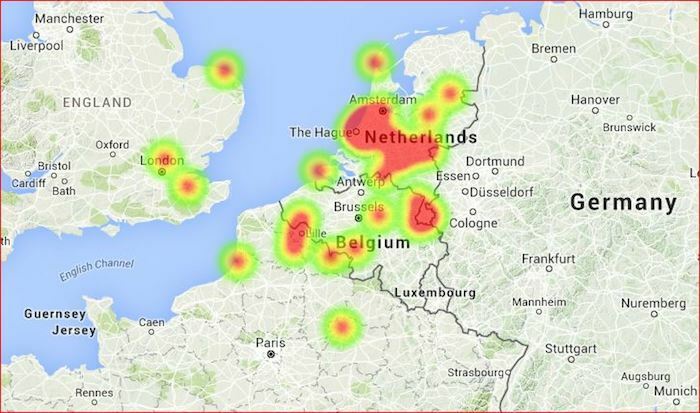 The fireball was also witnessed in Belgium and the United Kingdom. 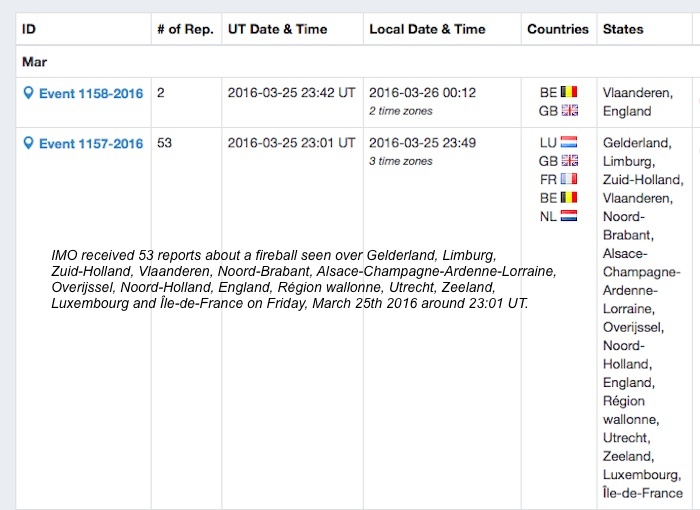 IMO received 37 reports about a fireball seen over Gelderland, Limburg, Zuid-Holland, Vlaanderen, Noord-Brabant, Alsace-Champagne-Ardenne-Lorraine, Overijssel, Noord-Holland, Région wallonne, England, Utrecht and Zeeland on Friday, March 25th 2016 around 23:02 UT. 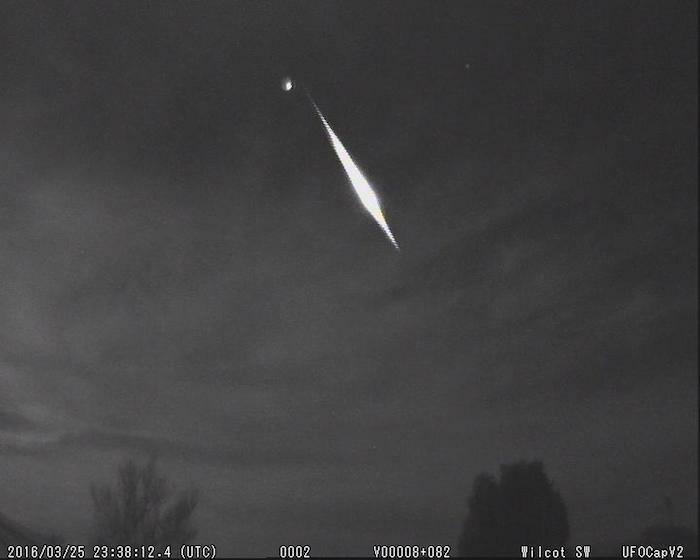 Fireball 25 March 2016 at 23h00m45s UT captured at Wilderen, Belgium (EN92) by Jean-Marie Biets. 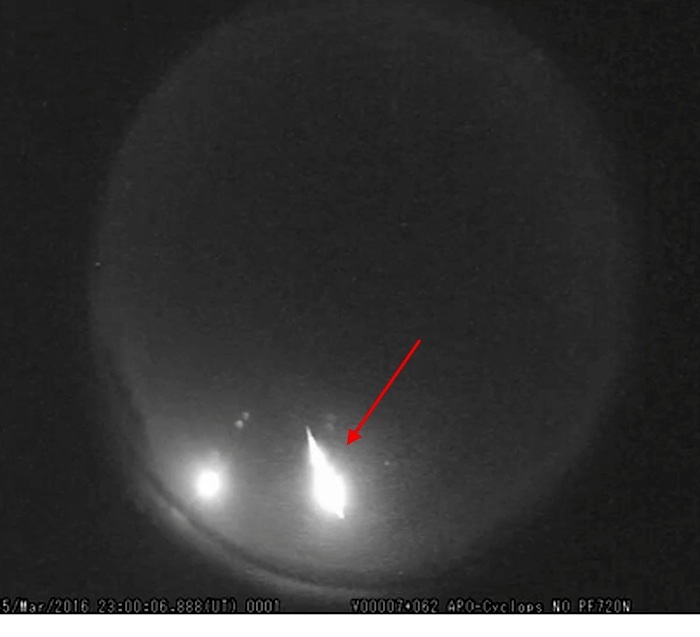 The fireball moved slow and took 3 seconds before disappearing at the edge of the shutter device. Weiterer Eingang von Beobachtungsmeldungen von Feuerkugel per Email bei unserer Meldestelle aus: Kranenburg (bei Grenze zu Niederlande), Heinsberg und Haanrade. 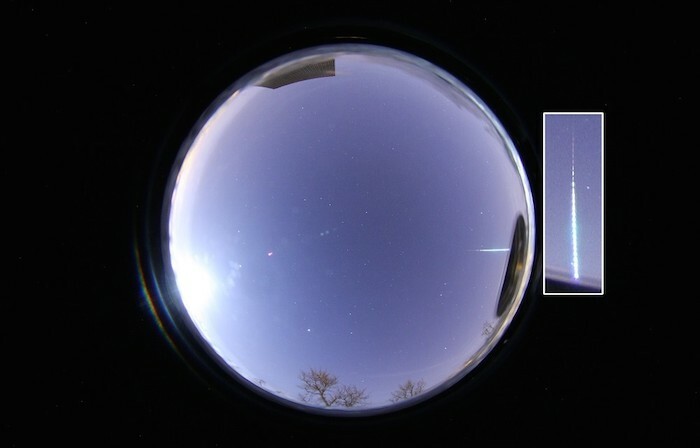 Meteor as bright as Venus streaking past Jupiter last night.